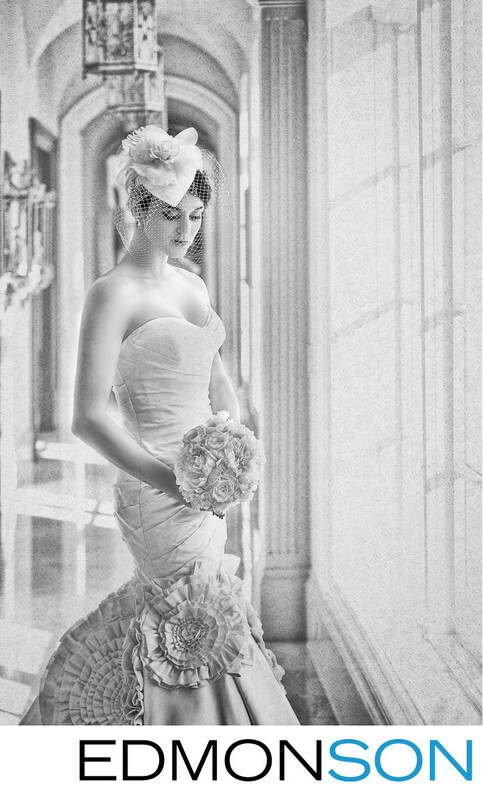 In the elegant hallway of a private estate in McKinney, TX, this beautiful bride has her portrait made. The flowers of her bouquet compliment floral patterns of her wedding dress. 1/250; f/7.1; ISO 400; 78.0 mm.